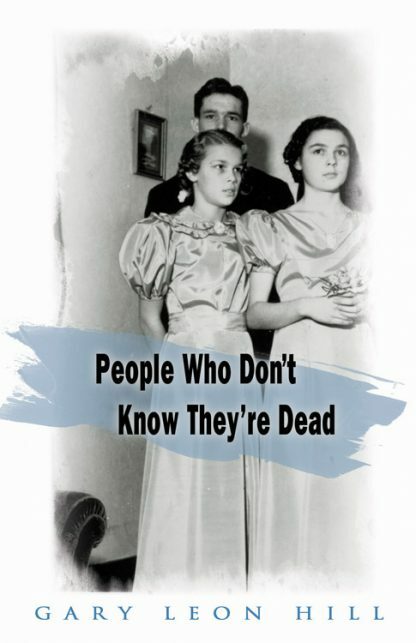 In People Who Don't Know They're Dead, Gary Leon Hill tells a family story of how his Uncle Wally and Aunt Ruth, Wally's sister, came to counsel dead spirits who took up residence in bodies that didn?t belong to them. And in the telling, Hill elucidates much of what we know, or think we know, about life, death, consciousness, and the meaning of the universe. When people die by accident, in violence, or maybe they're drunk, stoned, or angry, they get freeze-framed. Even if they die naturally but have no clue what to expect, they might not notice they're dead. It's frustrating to see and not be seen. It's frustrating not to know what you're supposed to do next. It's especially frustrating to be in someone else's body and think it's your own. That's if you're dead. If you're alive and that spirit has attached itself to you, well that's a whole other set of frustrations. Wally Johnston, a behavioral psychologist, first started working with a medium in the 70s to help spirits move on to the next stage. Some years after that, Ruth Johnston, an academic psychiatric nurse, who'd become interested in new consciousness and alternative healing, began working with Wally to clear spirits who weren't moving on. These hitchhikers had attached themselves to the auras of living relatives or strangers in an attempt to hold on to a physical existence they no longer need. Through her pendulum, Ruth obtains permission from the higher self of both hitchhiker and host to work with them. Then Wally speaks with them, gently but firmly, to make sure they know they are no longer welcome to inhabit the bodies and wreak havoc on the lives of the living. Hill has woven this fascinating story with the history and theory of what happens at death, with particular emphasis on the last 40 years and the work of such groundbreaking thinkers as Elmer Green, Raymond Moody, William James, Aldous Huxley, Edith Fiore, Martha Rogers, Mark Macy, Elisabeth Kubler-Ross, Bruce Lipton, and a host of others, whose work helps inform our idea of what it is to live and to die. As it turns out, our best defense against hitchhikers is to live consciously. And our best chance of doing that is by paying attention and staying open to possibilities.